TORONTO - Negotiations between Ontario's Liberal government and the New Democrats to pass the budget and avoid another election hinge on the NDP's demand for a new tax on incomes over $500,000. "I know that I stand on the side of daycares instead of millionaires, but let’s see where the premier stands," NDP Leader Andrea Horwath said Wednesday. "This budget needs to be about fairness and balance, and I’m hoping the government thinks so too." 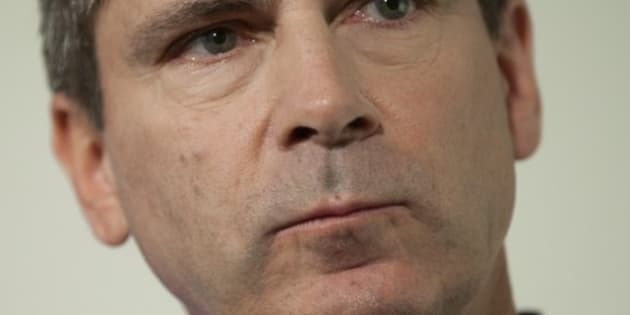 The talks between the two parties hit a snag Wednesday after Premier Dalton McGuinty claimed the NDP's budget demands would add $1 billion a year in spending, something he said a government fighting a $15.2-billion deficit cannot afford. "Where specifically should we cut in order to afford that new $1 billion in annual spending," asked McGuinty. "We’re trying to pass a budget that reins in spending, not one that expands further spending." McGuinty called on the NDP to submit more ideas on how to pay for their budget demands, which also include a new job creation tax credit, removing the provincial portion of the HST from home heating bills and keeping Ontario Northland railway in public hands. "What I’m asking of them today is that they send us some additional ideas to offset those new expenses," he said. Horwath said she was "taken aback" by McGuinty's remarks because the NDP believe their plan is fully costed out, and would be paid for mainly with revenue from a two percentage point surcharge on incomes over half-a-million dollars. "There’s no doubt that the idea of some people at the top paying a little bit more would actually give us the opportunity to give everyday families a break," said Horwath. The NDP say the new tax would generate $570 million a year, while the Liberals put the figure at about $440 million, but in either case, the new tax is central to the New Democrats' budget amendments. Horwath knows McGuinty may be reluctant to bring in a new tax after promising not to do so, and after famously breaking similar promises in the past, so she still is willing to negotiate with the Liberals to reach a deal to get the budget passed. "If the premier comes up with all kinds of other ways to make sure that other things that we’ve asked for get done, then that’s the conversation we’ll have," said Horwath. "At this point, we’re putting forward a list of proposals that we think need to be implemented to make this budget more fair." With the Conservatives vowing to defeat the budget, the Liberals need NDP support to get it passed and avoid triggering another election campaign. The first vote on the budget motion is still two weeks away, and that's lots of time to reach a deal with the NDP and prevent a defeat of the minority government, said McGuinty. "I appreciate the work the NDP has done, and now I’m asking them if they might give due regard to where it is that we can find the savings and be able to afford these new expenditures," he said. "It’s not hard to come up with new ideas for new expenditures, but it is much more difficult to find ways to offset those new expenditures against cost reductions or cuts." At his second campaign-style event in as many days, McGuinty again criticized the Conservatives for vowing to vote against the budget, saying the Opposition was pushing too hard for another election instead of trying to work with the minority government. "The PCs have turned their back on the responsibility they owe to Ontarians, which is to find a way to work with the government of the day in order to move this budget forward," he said. "They’ve chosen an election as opposed to talking to us."